1. All of our centers are UCAOA Certified & Accredited. The UCAOA is a membership association created to advance and distinguish the role of urgent care medicine in the United States. Responsible for setting national industry standards for urgent care centers, the UCAOA helps ensure that patients continue to be the beneficiary of quality levels of care from urgent care centers committed to delivering the very best. 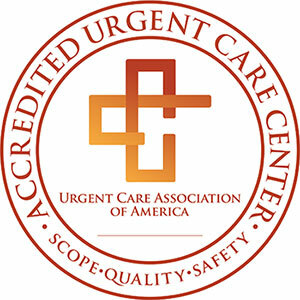 A UCAOA Certified & Accredited center is a distinct achievement that is only given when an urgent care center meets a significant amount of criteria, and is a recognition awarded separately from UCAOA membership. For more information, visit UCAOA’s website. 2. We are a proud Affiliate of Yale New Haven Health System. PhysicianOne Urgent Care and Yale New Haven Health System have partnered to extend access to high-quality urgent medical care to even more patients throughout Connecticut and New York. We are proud to partner with one of the most prestigious healthcare organizations in the world to support the full continuum of care for patients. 3. We provide easy access to better — convenient, high-quality, affordable — care when your doctor isn’t available. Walk-in at your convenience or check-in online and receive a text message when it’s time to come in. Access X-ray, lab, IV, suture services, and more, all in one location. Find convenient parking at all locations. Rest assured knowing that our providers will follow-up with your PCP after your visit to PhysicianOne Urgent Care. We’re committed to providing easy access to better care.